The future Queen-to-be ditches the monotony of daily routine and parties the night away in breezy but ultimately forgettable period drama A Royal Night Out. Lead by a who’s-who of predominantly British acting talent, the film lends a wistful, warm-hearted eye to the V.E. 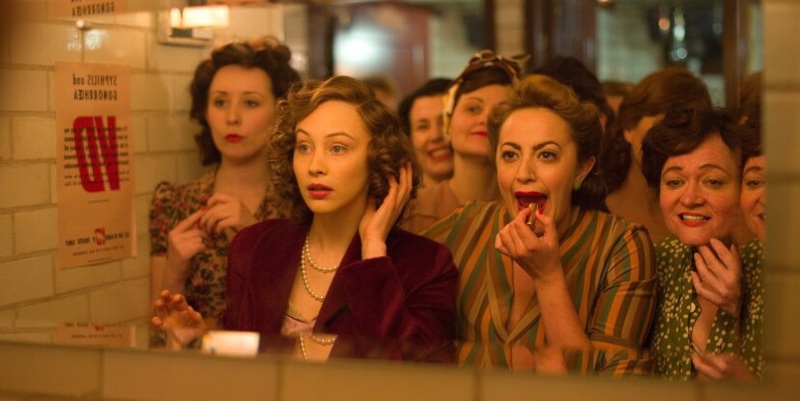 Day celebrations, when Princess Elizabeth and Princess Margaret (played wonderfully by Sarah Gadon and relative newcomer Bel Powley, respectively) leave the confines of Buckingham Palace to party the night away. Romance, mystery and slightly troublesome situations follow as the princesses lose themselves to the night. The narrative has little backbone, however, the screenwriters playing too safe and wishy-washy for the material to strike a lasting chord. If it weren’t for the enthusiastic performances of the two leads and the odd moment of spark here and there, A Royal Night Out would be a waste. But, as it stands, it’s a soapy, harmless dalliance into what has become a day of celebration and remembrance.